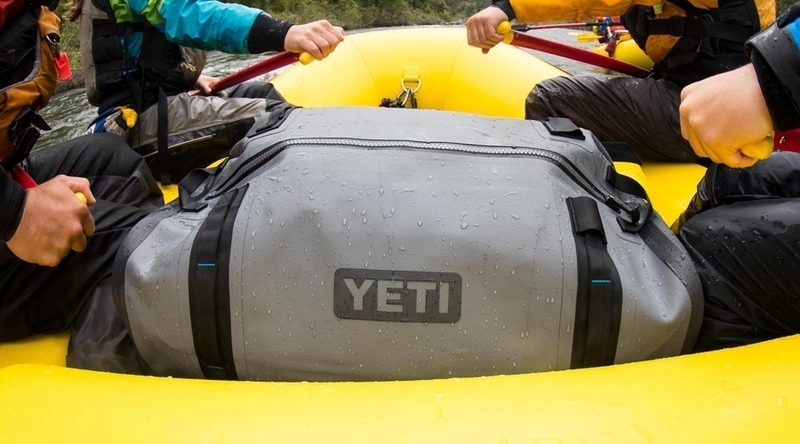 In its first earnings report since going public, Yeti Holdings Inc. on Thursday reported adjusted net income for its third quarter ended September 29 grew 81 percent to $20.2 million, or 24 cents per diluted share, beating Wall Street’s targets by 3 cents. The company’s net sales grew 7 percent to $196.1 million, missing estimates by $0.1 million. Net sales increased 7 percent to $196.1 million compared with $183 million during the same period last year. Wholesale channel net sales were approximately flat at $125 million compared to the same period last year with lower Coolers & Equipment net sales, offset by an increase in Drinkware net sales. The decrease in Coolers & Equipment net sales was due primarily to a prior year non-recurring disposition of certain prior generation, excess end of life soft cooler inventories. The increase in Drinkware net sales in the wholesale channel was a result of replenishment orders from retail partners due to strong product sell through, sales of new products, and additional colorways for existing products. Net sales through the company’s direct-to-consumer (“DTC”) channel increased 23 percent, to $71.2 million compared to $58 million during the same period last year. DTC sales were driven by an increase in customer purchases on the company’s website, yeti.com, and Yeti Authorized on the Amazon Marketplace, as well as increased consumer and corporate customized Drinkware, primarily from yeticustomshop.com. Coolers & Equipment net sales decreased 16 percent, to $86.7 million compared to $102.9 million during the same period last year. The decrease was within the wholesale channel and primarily due to the aforementioned disposition of certain prior generation, excess end of life soft cooler inventories during the third quarter of 2017. Drinkware net sales increased 37 percent, to $104 million compared to $75.8 million during the same period last year driven by strong growth in both the wholesale and DTC channels. Growth in both channels benefitted from the expansion of the Drinkware product line, new Drinkware accessories, and the introduction of new Drinkware colorways. Gross profit increased 19 percent to $97.5 million, or 49.7 percent of net sales, compared to $82.2 million, or 44.9 percent of net sales, during the same period last year. The 480 basis point increase in gross profit margin was driven largely by cost improvements across the product portfolio, the lapping of the aforementioned inventory disposition, increased higher margin DTC channel sales and fixed cost leverage, partially offset by price reductions in select hard and soft coolers as the company planned for new product introductions. SG&A expense increased 21 percent to $69.4 million, or 35.4 percent of net sales, compared to $57.5 million, or 31.4 percent of net sales, during the same period last year. The increase in SG&A dollars was mainly attributable to higher employee wages and benefits due to increased headcount and incentive compensation, professional fees, and increased facility, utility and outbound freight expenses. Operating income increased 14 percent to $28.1 million, or 14.3 percent of net sales, compared to $24.7 million, or 13.5 percent of net sales, during the same period last year. Adjusted Operating Income increased 29 percent to $31.7 million, or 280 basis points to 16.2 percent of net sales, compared to $24.6 million, or 13.4 percent of net sales, during the same period last year. Cash at the end of the third quarter totaled $52.1 million. Inventory at the end of the quarter was $157.7 million compared to $227.2 million at the end of the third quarter of 2017. Total debt was $387.8 million and net debt, which is total debt less cash of $52.1 million, to Adjusted EBITDA for the trailing twelve months was 2.6 times as of September 29, 2018. Adjusted EBITDA for the trailing twelve months was $130 million and is calculated using the fiscal 2017 Adjusted EBITDA of $97.5 million, as disclosed in our Final Prospectus for our initial public offering, (IPO), less Adjusted EBITDA for the nine months ended September 30, 2017 of $64.3 million, plus Adjusted EBITDA for the nine months ended September 29, 2018 of $96.8 million. Cash flow provided by operating activities was $35.2 million and capital expenditures were $6.3 million for the third quarter 2018. Net sales increased 23 percent to $537.7 million compared with $437.1 million during the same period last year. Wholesale channel net sales increased 13 percent, to $360.7 million compared to $318.8 million during the same period last year. Net sales through the company’s DTC channel increased 49 percent, to $176.9 million compared to $118.4 million during the same period last year. Coolers & Equipment net sales increased by 5 percent, to $240 million compared to $229.2 million during the same period last year. Drinkware net sales increased by 44 percent, to $280.7 million compared to $194.4 million during the same period last year. Gross profit increased 27 percent to $255.3 million, or 47.5 percent of net sales, compared to $201.5 million, or 46.1 percent of net sales, during the same period last year. SG&A expense increased 18 percent to $190.7 million, or 35.5 percent of net sales, compared to $161.4 million, or 36.9 percent of net sales, during the same period last year. Operating income increased 61 percent to $64.6 million, or 12 percent of net sales, compared to $40.1 million, or 9.2 percent of net sales, during the same period last year. Adjusted Operating Income increased 64 percent to $78.3 million, or 14.6 percent of net sales, compared to $47.9 million, or 11 percent of net sales, during the same period last year. Net income increased 185 percent to $32.6 million, or $0.39 per diluted share, versus net income of $11.4 million, or $0.14 per diluted share, during the same period last year. Adjusted Net Income increased 166 percent to $43.6 million, or $0.53 per diluted share, versus Adjusted Net Income of $16.4 million, or $ 0.20 per diluted share, during the same period last year. Adjusted EBITDA increased by 51 percent, to $96.8 million from $64.3 million during the same period last year. On October 24, 2018, the company consummated its IPO at an offering price to the public of $18.00 per share. The company sold 2.5 million shares of its common stock in the IPO, resulting in total net proceeds of $37.9 million after deducting underwriters’ discounts and expenses and other offering costs. The company plans to use the net proceeds from the IPO plus additional cash on hand to repay $50 million of debt under its outstanding credit facility. Capital expenditures to be between $21 million and $24 million. Photo courtesy Yeti Holdings Inc.